Residential real estate contracts in New York State are prepared and negotiated by attorneys, rather than by other real estate professionals such as real estate brokers. This custom allows the opportunity for parties to real estate transactions to have professionally prepared contracts, serving as the road map for the entire transaction. 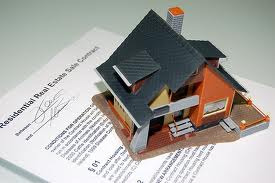 There are particular provisions in a typical New York residential real estate contract of which our readers should be aware. The most common conversation that we have with our real estate clients, whether they are the purchaser or the seller, pertains to the closing date. The standard contract clause will provide that the closing date will be “on or about “x” date”. This has been interpreted by New York courts to be a ” target=”_ date, not a date that either party must absolutely attend a closing and complete the transaction. We advise our clients not to schedule the movers, arrange for contractors to commence renovation projects or set up the closing of another transaction based upon an “on or about” closing date. New York legal custom generally allows thirty days after the target “on or about” closing date before one of the parties may legally expect to hold the closing. At this point, it would then be appropriate for one of the attorneys to send a “time of the essence” closing date notice. A time of the essence notice must be in writing and will specify the time, date and location when the party sending the notice expects to perform its contractual obligation, deemed “law day”. New York Courts have held that time of the essence notices are to be sent on no less than thirty days notice. The party sending the notice needs to attend the closing on “law day” and to perform the closing, such as by having their client sign closing documents and having other parties such as title closers attend. In fact, it is common practice to have a court reporter attend the time of the essence closing to document a party’s failure to perform, so that a contract downpayment may be seized or another remedy for breach of contract employed. Financing contingency clauses also need to be carefully drafted in New York. When representing a purchaser, we will request a generous number of days for the client to obtain his loan commitment. Likewise, for a seller, we will try to have the number of days be on the short end of the standard timeframe, so that we can terminate the transaction and pursue another purchaser if the lender declines the loan. In either event, we calendar the deadlines, so that extensions can be requested and decisions made in a timely fashion, without jeopardizing a downpayment. For instance, the standard New York contract provides that if a purchaser does not obtain his loan commitment by the commitment date and does not advise the seller, then the purchaser must proceed with the transaction with or without the loan proceeds. If the loan is not funded and the purchaser cannot close, the purchaser will then forfeit his downpayment. When representing a seller, we prefer that the financing clause be broadly drafted, allowing for a loan for a term of thirty years or less and the prevailing fixed or adjustable interest rate. That way, the purchaser cannot easily cancel a transaction because he only applied for a particular limited loan program. When representing a purchaser, we confirm that the loan amount stated in the contract accurately reflects the purchaser’s loan application. It has become common practice for New York attorneys representing purchasers to revise the basic residential form contract to provide that the seller will comply with all violations of municipal ordinances as of the date of closing, rather than as of the contract date. For instance, the basic residential contract would provide that the purchaser must close and be responsible for correcting a sidewalk violation that may issue between the contract date and closing. Many purchaser’s attorneys request a revision of this provision so that the seller will be responsible for the sidewalk violation if it was issued on any day that happens to be before closing. Notice provisions should also be adjusted to reflect modern technology and the preferences for those receiving notice. Most people do not send letters by certified mail anymore, the form of notification found in most form contracts. Also, not all residential contracts in New York provide that attorneys can notify each other by facsimile or electronic mail or that even the attorneys, rather than the parties themselves, may notify of contractual issues. This can be significant when a time of the essence notice is delivered or notification of financing status is conveyed. If the notice is not delivered to the proper person and in the proper manner as required by the contract, it can be rejected by the other party and will be ineffective. Real estate brokers need to be properly identified in the contract. A purchaser should be asked if they were introduced to the property by a real estate broker. Although the seller is customarily responsible for the real estate broker’s commission, naming the brokers in the contract prevents either party from later claiming that an unnamed person deserves a commission. Recent extreme weather in New York has created concerns as to outside property condition. The typical residential contract does not explicitly require a seller to maintain landscaping. As such, when representing a purchaser, we request that the seller be required to maintain landscaping and snow removal services through the actual closing date. This prevents a purchaser from being required to close, despite the fact that the property is in a state of disrepair, even if due to a storm. Our firm looks forward to engaging in contract negotiations on behalf of its residential and commercial real estate clients. Tagged: "residential real estate contracts"